As far as Australian distilleries go, Distillery Botanica could be said to be one of the early pioneers. Established in 2007 at a time when the number of micro-distilleries in Australia were in the low digits, it was originally known as St Fiacre Distillery, so named after the patron saint of gardeners. And a gardener is what distiller and owner Philip Moore is at heart, with a love of plants driving a meticulous approach towards coaxing the best flavour out of them. A horticulturalist by profession, Philip was the founder and owner of one of Australia’s largest wholesale nurseries, Renaissance Herbs, which he operated for over 20 years. A need for a sea change in 2007 prompted Philip to turn his hand to distilling. Entirely self-taught, Philip set out to incorporate his self-described passion for plants into alcoholic spirits, first creating a number of liqueurs using Australian native botanicals before moving into the production of gin and vodka. Philip originally called his distillery St Fiacre, however, later changed that to Distillery Botanica after one too many people stumbled over pronouncing the former. Located in Erina in Central Coast NSW where it has been since its inception, the distillery compound encompasses a decent sized garden housing quite a few of the botanicals that end up in Philip’s alcoholic creations. Philip’s skill in extracting the best flavours from every component of the plant (be it the fruit, flower, stem or stalk) is evident across the distillery’s range of liqueurs and spirits; as with a lot of his fruit liqueurs, the raspberry liqueur delivers an intense hit of fresh fruity berries both on the nose and palate, unlike the more plastic like feel of some of the bigger commercial brands (with good reason, Philip uses a kilo of the fruit per litre of alcohol). Beyond liqueurs, Philip has also achieved success with his gins. The Moore’s Gin is a balancing act of competing flavours of the various botanicals used, each of which can be quite dominant in their own right. The effort has not gone unnoticed – in 2017, Moore’s Gin became the first Australian gin to be awarded a gold medal at the International Wine & Spirits Competition in London. Drinkers might also recognise the distillery from the distinctive Distillery Botanica gin, with its apothecary inspired green bottle design. The gin is also unique in its use of an ancient perfumer’s technique called enfleurage to extract oils from rose petals, rather than using rose essence. Rather confusingly, the DB gin was not the distillery’s own flagship gin, but was a separate joint venture with a third party, that the distillery relinquished in 2018 and resulted in the DB Gin being re-named to Garden Grown Gin. 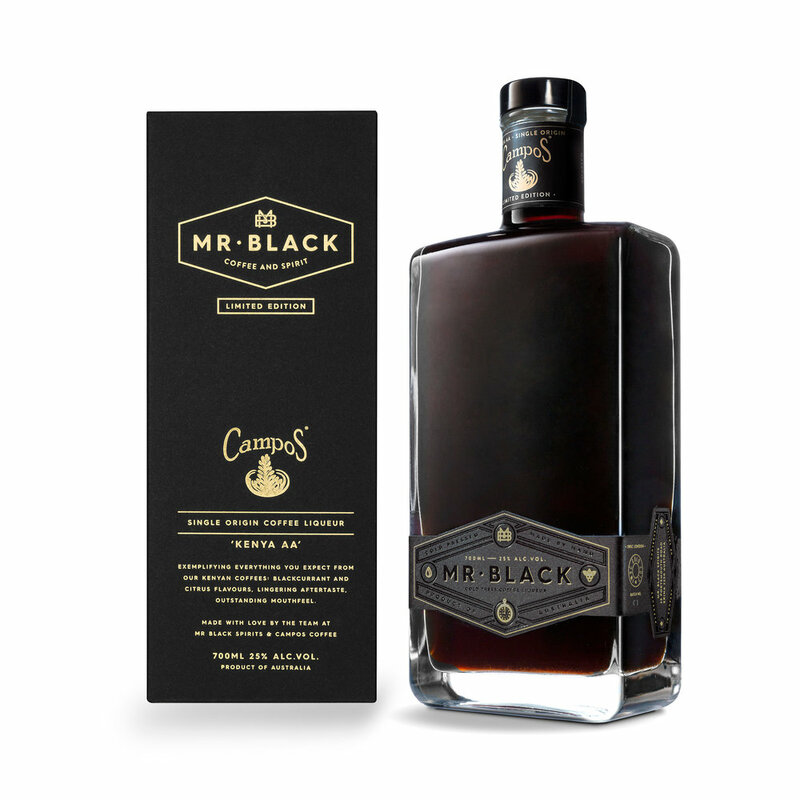 Since then, Mr Black has cultivated a loyal fan base who have embraced the brand’s savvy branding as well as its approach of eschewing the sugary sweet concoctions associated with the traditional coffee liqueurs available on the market; instead going for complexity of flavours extracted from specially sourced coffee beans via a slow, cold brew process. It’s a process that has seen the liqueur win multiple awards but despite its growing popularity in Australia and overseas, the liqueur continues to be made and bottled by hand in Distillery Botanica in batches of 300 bottles at a time. Since its inception in 2013, Mr Black has epitomised that saying of, “do one thing only but do it well.” Instead of going down the more predictable flavoured coffee route in expanding its range (salted caramel coffee liqueur anyone? ), it has instead explored limited edition releases with Campos that swapped out the coffee beans used (there’s been 2 such releases). In 2017 the brand finally released a sibling to its coffee liqueur, in the form of a coffee amaro. But what’s an amaro? Italian for “bitter”, the word is used to describe a category of bitter liqueurs, which are often consumed in Italy after dinner (much like coffee is commonly used to close out a meal here). Seen in that context, it seemed a natural extension of the range to combine the two things most popularly associated with post meal consumption. Mr Black’s recipe captures the flavours and aromas found in both beverages: citrusy and herbaceous underscored by the distinct bitterness of coffee – in fact, a lighter, more citrusy version of its core coffee liqueur. With so many accolades under its belt, what’s next for Distillery Botanica? There’s plans to add to the cellar door experiences that involve the distillery gardens, and they’ve just opened their garden cafe. As for upcoming releases, if the previous ones were anything to go by, you’ll be guaranteed of one thing - it’ll be full of flavour.